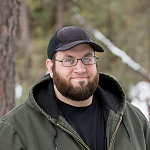 Home Gun News What Are The Best Concealed Carry Methods? Everybody has a preferred method to concealed carrying a pistol. Whether it’s a favorite shoulder holster, inside or outside the waistband concealed carry holster, or an ankle holster – one size certainly doesn’t fit all for this community. 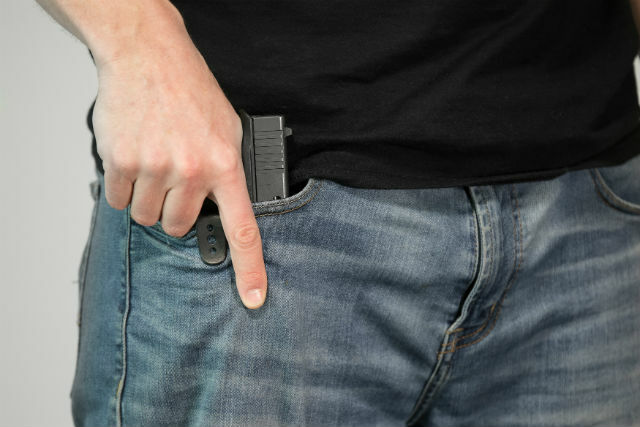 In this article, we’ll discuss some of the best ways to conceal carry a pistol. More importantly, we’ll discuss why they’re the best and worst way to conceal a handgun. A lot has been said about pocket carry over the years, specifically about how it’s dangerous. It CAN be…if you do it wrong. That said, it’s easy to not do it wrong. All you need is a decent pocket holster. The issue with pocket carry is what happens when people do it wrong. They carry a pistol with a modern striker trigger in the pocket, without a pocket holster. What ends up happening is that the person carrying in this fashion has something else in their pocket, or sits down and starts fidgeting with the pistol. The trigger snags on something, either the fabric itself or something in the pocket, and next thing you know…BANG! Negligent discharge. The person swears it’s never happened before, but the people in the movie theater/restaurant/what have you are not amused and couldn’t care less if it hadn’t happened before; it just did and there’s no excuse for it. Even less so if somebody was injured. Carry with a pocket holster. By carrying with a pocket holster, the trigger guard is protected, which is of paramount importance in any carry holster, let alone a pocket holster. If you have that base covered, so to speak, that goes a long way. However, you should take care to select a quality pocket holster. Many are basically a cloth pouch and little more than that. That can cause problems on the draw, as the sights can snag if the holster isn’t made to account for the draw…and many aren’t. You also want to look for a pocket holster that has a pocket catch feature. Usually it’s a wing on one or both edges that snags inside the pocket and lets the gun come free. You should also take care to make sure that you can’t manipulate the trigger through the fabric, if the pocket holster you select is made from some type of cloth. If you can feel the trigger, it’s too thin. Leather or – better yet – molded polymer will be your best bets. For those that don’t wish to carry inside the waistband, one popular option is to use a shoulder holster. However, shoulder holsters can require a bit more effort than an IWB holster, which can scare some people away. Not that the perceived shortcomings can’t be overcome, but it is something to be aware of. In other words, you have to get shoulder holster carry just right or you won’t conceal effectively. How you do that, though…is the rub, so to speak. As to concealment, additional layers are just necessary, period. There’s no getting away with it otherwise. Granted, how MUCH layering is going to be necessary is the trick. As a general rule, the bigger the gun you carry the more layering is necessary. Body type matters too. If your shoulders are wider than your hips, concealment will be easier for obvious reasons. Some people will find a compact pistol can be concealed in either orientation with a roomy button-up shirt, worn unbuttoned or buttoned. Others may find that a light jacket may be necessary, and others still will find it only works with a bulky winter coat. Gun selection also plays a role. Again, a moderately-sized compact may easily conceal in either position for many people. A subcompact will conceal easily for many as well. Full-size guns, however, will conceal easily for some people and not at all for others. A very popular shoulder holster and gun pairing is a 1911 with a vertical shoulder holster; the slim frame and length pair well in this regard. However, a Sig P220 on a relatively slim person with narrow shoulders in a horizontal shoulder holster…may not work out. However, some just don’t like shoulder carry. Some critics point out that you end up “flagging” yourself or others (meaning the muzzle is pointing at them) and that isn’t in the strictest keeping with the tenets of firearm safety, though the truth is carrying inside the waistband flags your legs too. Appendix carry flags something even more sensitive! Another common complaint is poor strapping, as a good shoulder holster will distribute the weight of the gun to more than one shoulder. This is the Achilles heel of shoulder holsters, as many people have found them uncomfortable. In short, it’s great if you can get it right…but doing so takes some doing. It’s not particularly easy to get access to an ankle holster. While concealed carry instructors have demonstrated some good techniques, it’s sort of counterintuitive. One of the biggest assets to a CCW is the ability to move around a potential battle space. Having to redirect focus from the target to the holster is a big issue. 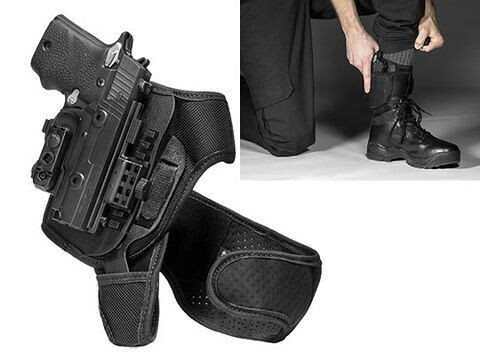 For those with weak ankles or heavier set – ankle holsters aren’t the best option. Ankle holsters work best only when they’ve been extensively trained with. For those who prefer a sub-compact or even micro-compact concealed carry pistol – it can be a viable concealed carry method. OWB concealed carry isn’t impossible…but is more complex than with an IWB holster, requiring a balance of factors in order to get it right. You need to select a holster that works with your body type, as well as clothes that keep it concealed. You also need to select a pistol that works well with your setup as well. What will that be? That depends entirely on you. Some people will find that with an OWB holster that rides high and tight, they can conceal darn near anything. Some find that compact pistols about the size of a Glock 19 are about the limit of what they can conceal without having to wear a jacket indoors. You might find that you can conceal slimmer pistols – such as a 1911 – but big, fat double-stack guns are a bridge too far. Consider also the cover garments you’ll be employing. Do you wear a suit every day or do you have a more casual wardrobe? A high-riding belt holster can be covered up fairly easily with an untucked button-up with a somewhat long hem. Many a pistol is concealed by an untucked, unbuttoned flannel shirt positioned just behind the hip on the strongside. Your mileage, of course, will vary. OWB concealed carry is, in many cases, the most comfortable way to wear a pistol…but does demand that you set yourself up for success with the right choice of pistol, holster and cover garment for you. Additionally, keeping concealment while out and about requires good choice of cover garment. Tall sizes of shirt can be a godsend in this regard, so make sure you make a good selection. No surprise here. Inside the waistband holsters are the standard for concealed carry with good reason. They conceal well and with a good range of pistols. If you select the right holster, they carry comfortably as well. Many people find little to no extra layering is necessary, though some people might. 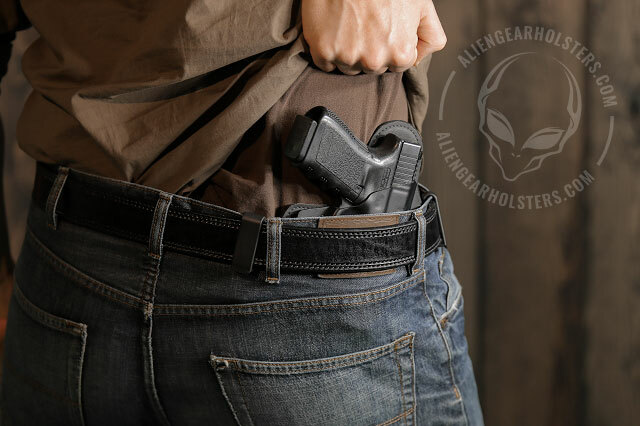 When looking for an IWB holster, It’s important to find a durable, comfortable inside the waistband concealed carry holster that adjusts with the person’s specs. Whether it’s the standard 15° cant used by the FBI or a custom configuration better suited for ergonomics, it’s the best way to keep a pistol accessible. While there are quite a variety of inside the waistband concealed carry holsters on the market, the best incorporate a pad, clips, and a sturdy polymer holster that is custom fitted to the weapon. Fit and retention of the pistol is especially important, as this ensures the pistol stays exactly where it needs to be until it needs to be used. If you’re interested to see if your pistol is compatible with an Alien Gear holster, have a look at our Search By Gun page! You might also check to see if your gun is compatible with our ShapeShift Modular Holster System..
Do you have a preferred concealed carrying method that works for you? If so, share it in the comment section below. Glock 17 vs Glock 19: Which is Better?